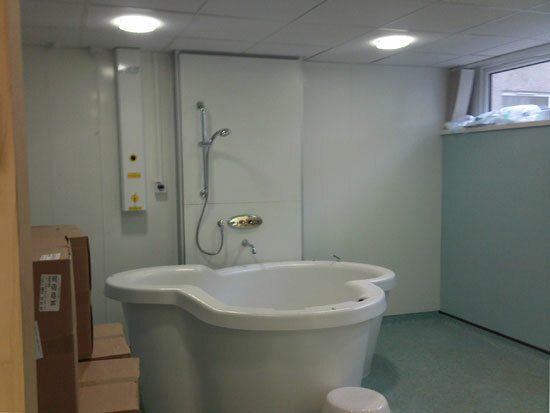 The commission was for the refurbishment of some existing staff accommodation and offices into a new birthing unit complete with pools and delivery suites. The project required detailed surveys of the existing services to be carried out to ensure that the new installations could be accommodated into a very restricted ceiling void with existing live services that had to be remain operational. New services including medical gases and gas scavenging were incorporated. We also designed some very decorative feature lighting detailed into the bedhead systems to suit the use of the rooms. Within 6 months of opening, one of BSP's mechanical engineers had his first nephew arrive at the facility.